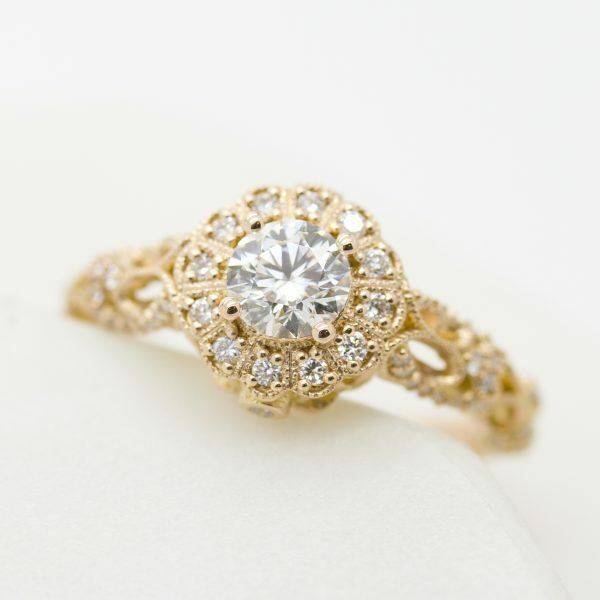 A vintage engagement ring, designed and crafted especially for you. 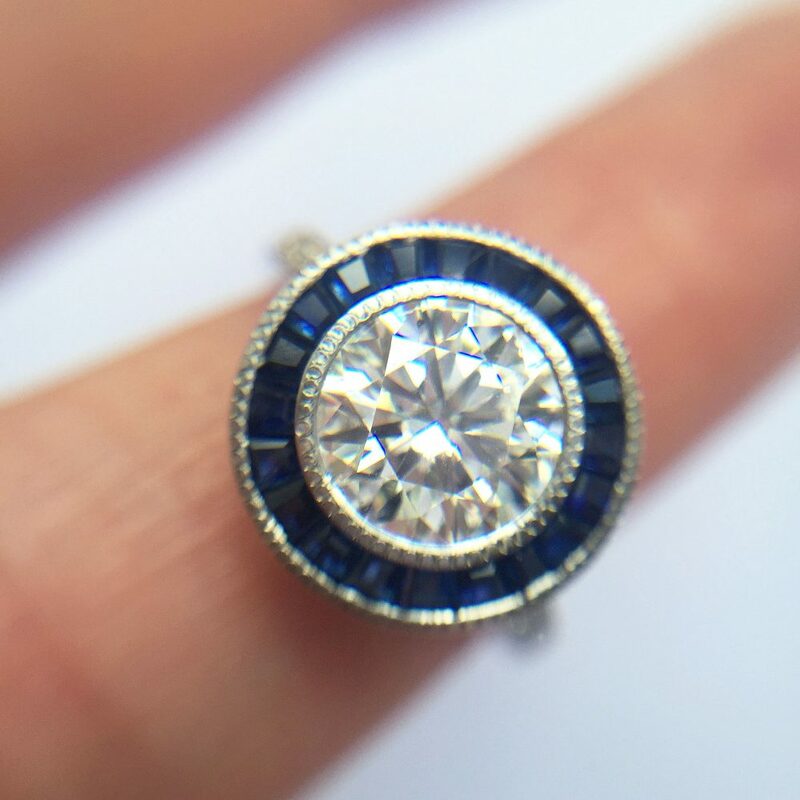 Sometimes you want the look of a vintage engagement ring without the history that comes with it… because you’re about to make your own history. 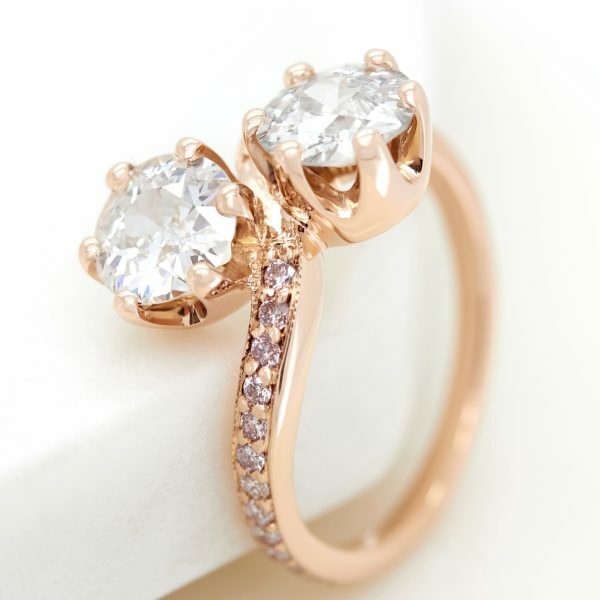 And creating a ring to match the love you’ve created is a natural impulse. 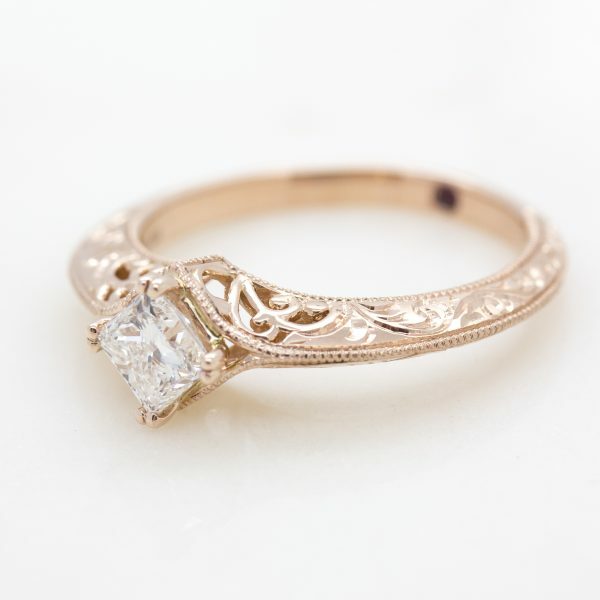 Crafting your own vintage engagement ring is the only way to ensure you get all the design elements from the most influential eras of jewellery design—Georgian, Victorian, Art Nouveau, Edwardian, Art Deco, Retro Hollywood… and more! Sentimentality aside, there is a greater peace of mind in crafting a vintage engagement ring, made using modern manufacturing techniques. 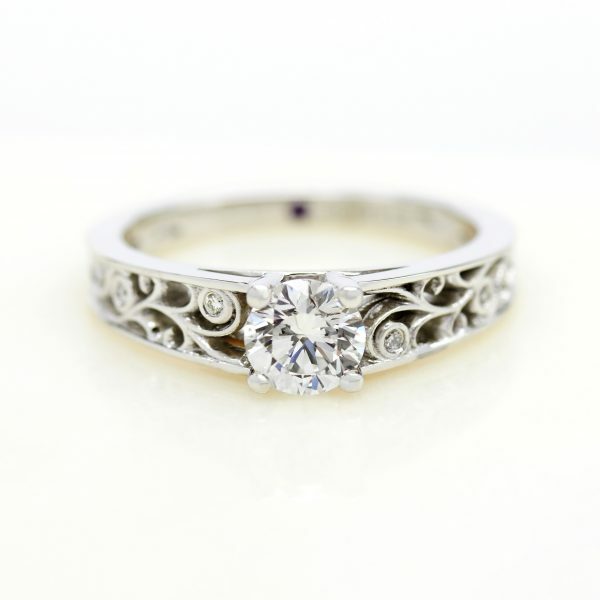 Older rings—though beautiful—simply weren’t crafted to endure the rigours of everyday wear; moreover durability wasn’t a such a huge concern before the Industrial Revolution. Older generations could only do so much with the resources available at the time, and therefore manufacturing standards weren’t what they are today. 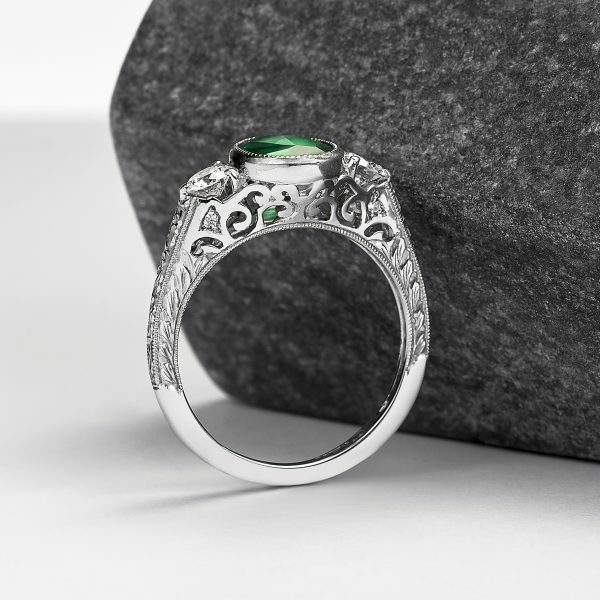 Engagement rings inspired by vintage designs are now crafted with modern manufacturing standards and techniques, ensuring a lifetime of wear. 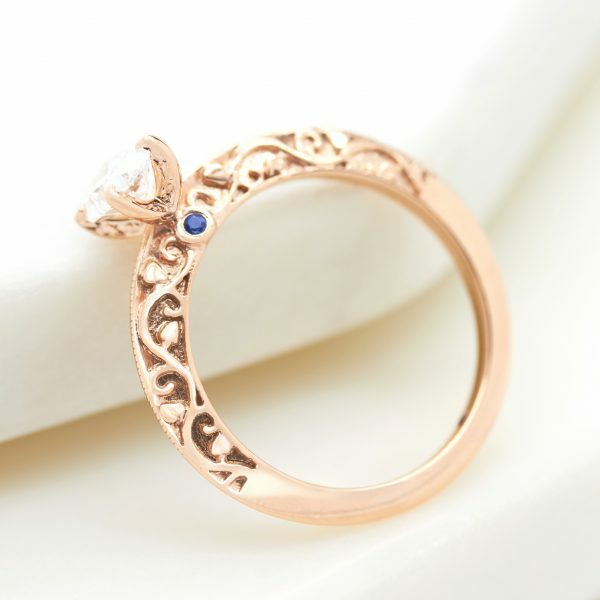 What is the difference between vintage and antique rings? 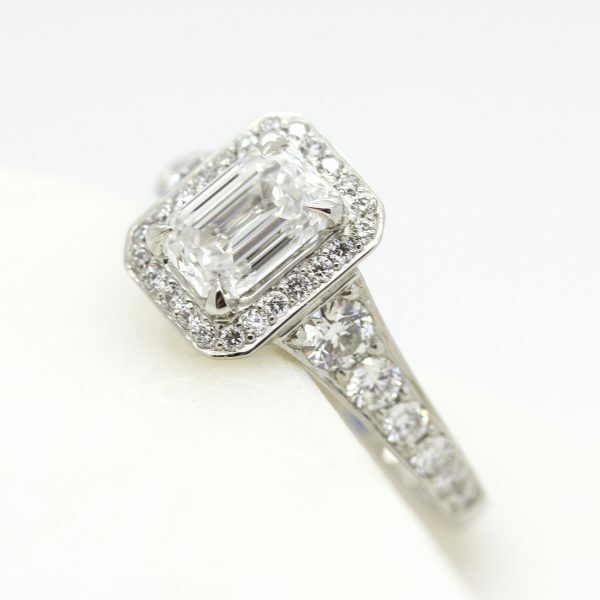 Vintage means the piece is at least 20 years old and can be defined as belonging to a specific style or design aesthetic. 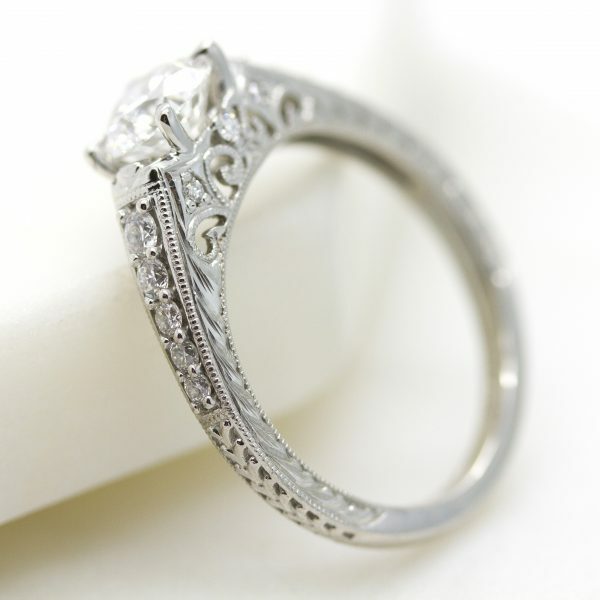 Antique means the piece is at least 150 years old and carries extra value simply for its historical significance. 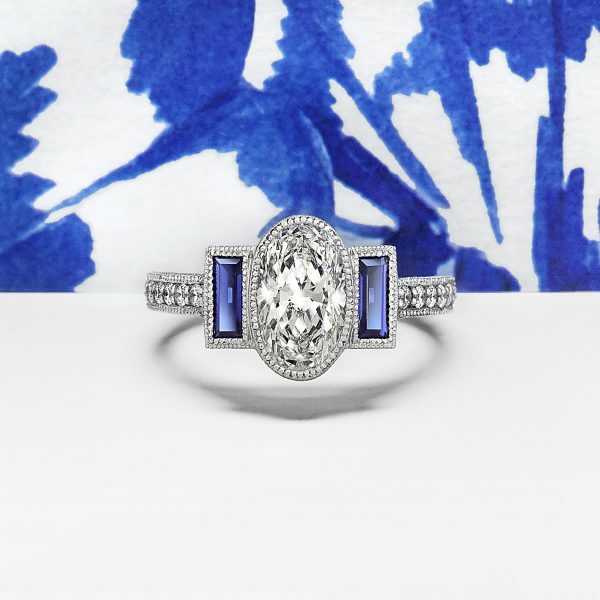 Creating an engagement ring that is vintage inspired means your ring features elements of the intricate jewellery design from eras gone by—from the late 1800s to the 1960s—but remains trendy with the unmatched sparkle of today. 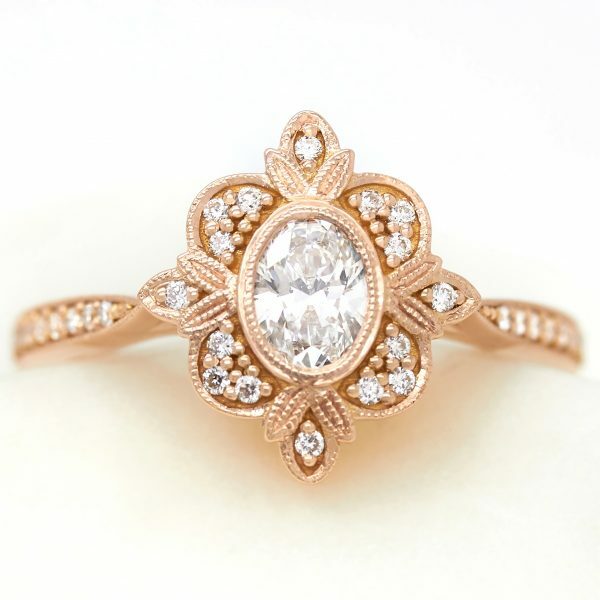 Examples of these vintage design elements are: milgrain detailing, filigree cut outs, diamond or gemstone halos, floral engraving, or pavé diamond settings. 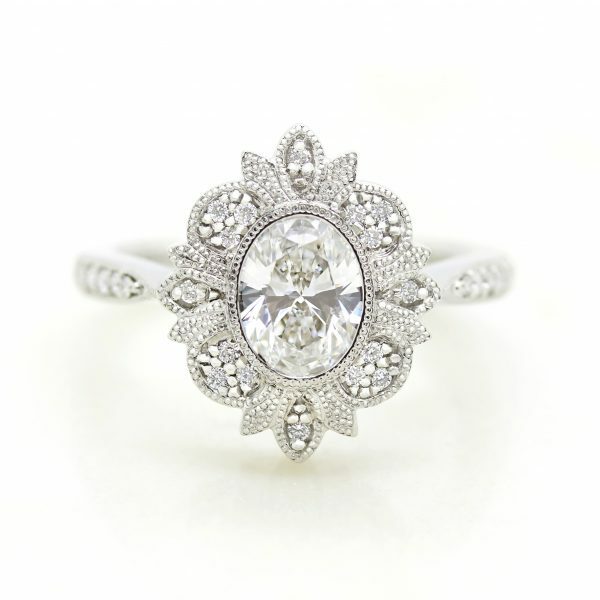 From organic engraving and geometric patterns to opulent embellishments and bright colours, vintage-inspired engagement rings make that striking statement—but unlike truly vintage rings, they’re also crafted from the highest quality material so that they may be worn and treasured for a lifetime. And as fate would have it, look to the gods of trending: celebrities. 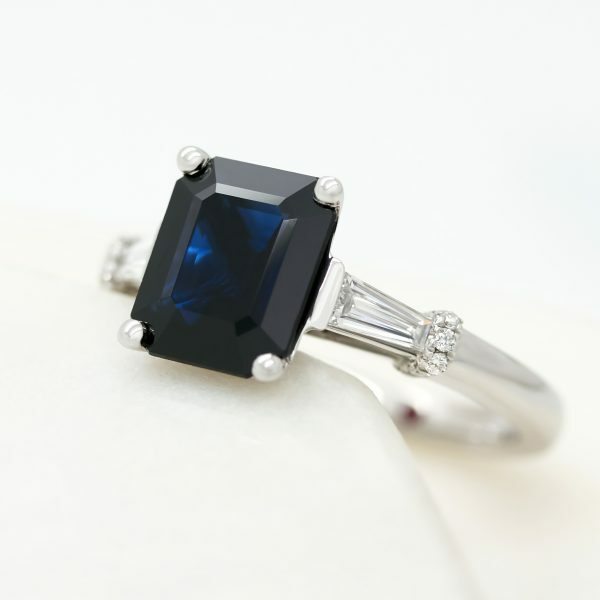 One glimpse of Kate Middleton’s ring finger, Olivia Wilde’s, or Scarlett Johansson’s declares the law of the land: vintage engagement rings are in when it comes to finding the perfect modern day token of commitment. But just like navigating the future, navigating the past requires a road map. Consider this yours. 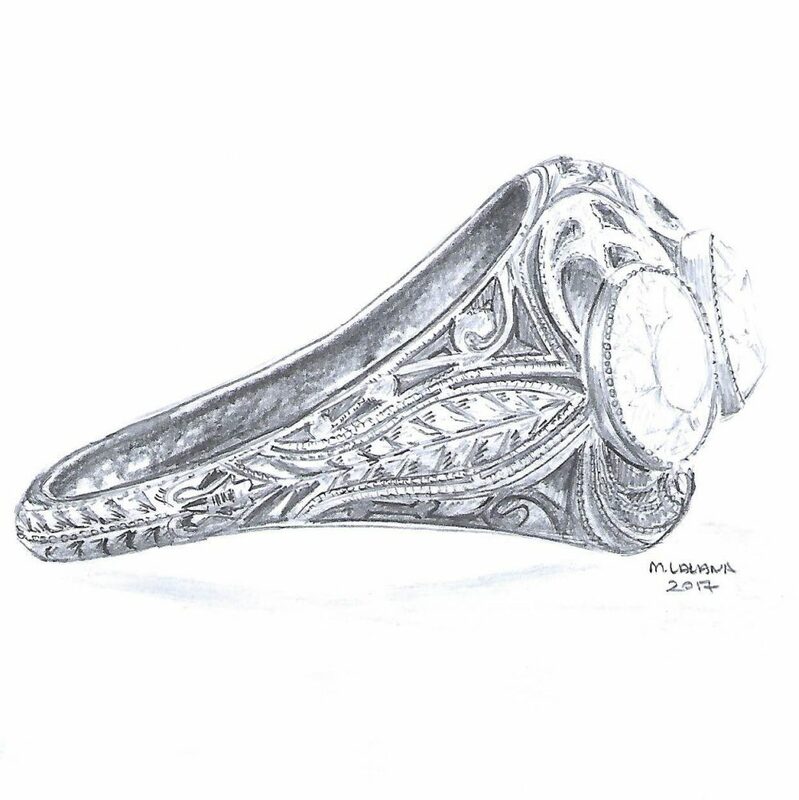 Engagement rings from the Georgian period (1714 – 1830) were handcrafted using labour-intensive manufacturing techniques to achieve ornate metal work, reflective of the era’s elegance. This design era is known as the Georgian period because it occurred throughout the reigns of King George I through to IV and King William IV. 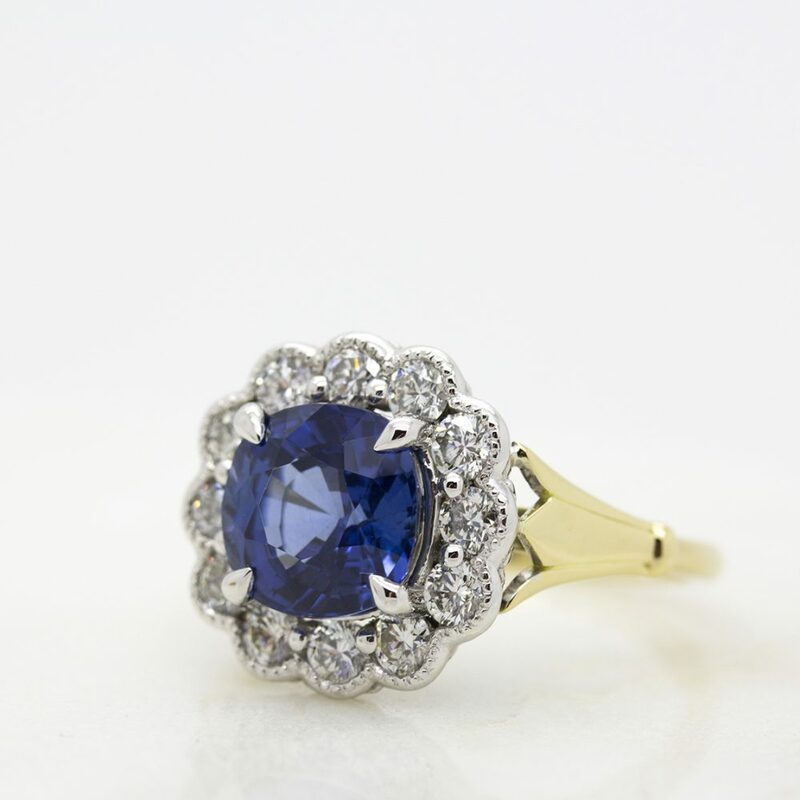 During Queen Victoria’s reign from 1837 to 1901, everything in society, including engagement rings, seemed to reflect and revolve around the life and times of the Queen. 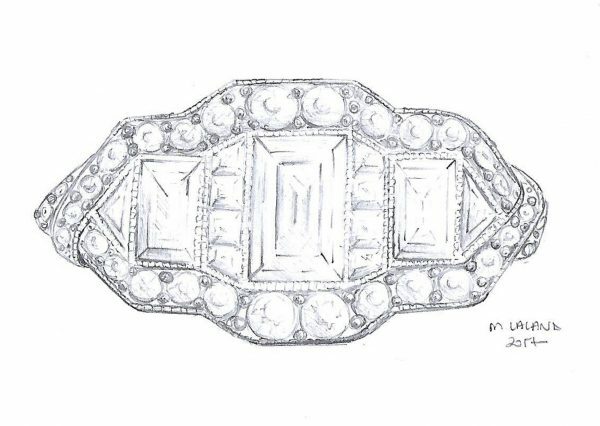 She harboured a very public love of diamond jewellery herself that sparked a revolution in rings and other pieces of jewellery around the globe. 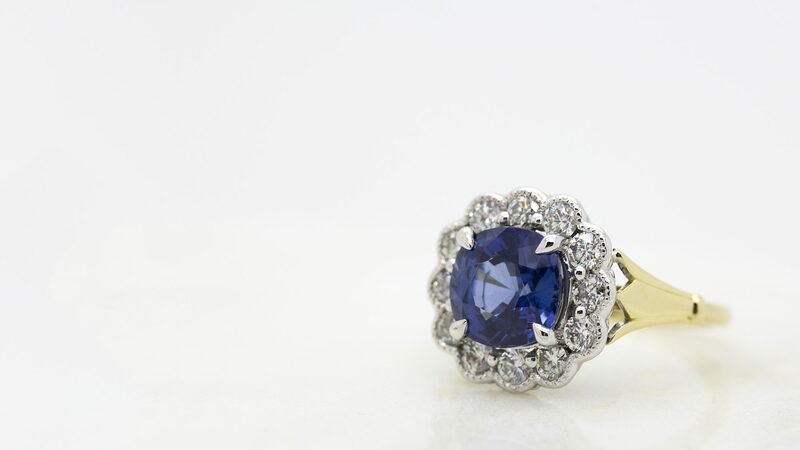 With a reign spanning 64 years, the Victorian jewellery era is separated into three periods, however the distinctive design elements of the era remained throughout, featuring intricate, decorative styles centred around Her Majesty. 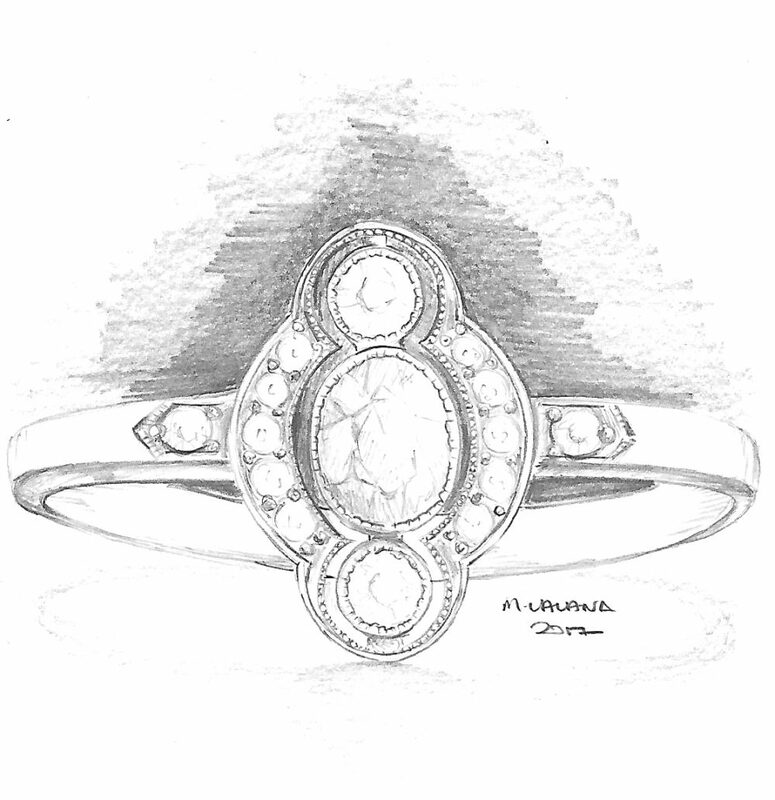 This symbolised the beginning of the Romantic jewellery period. 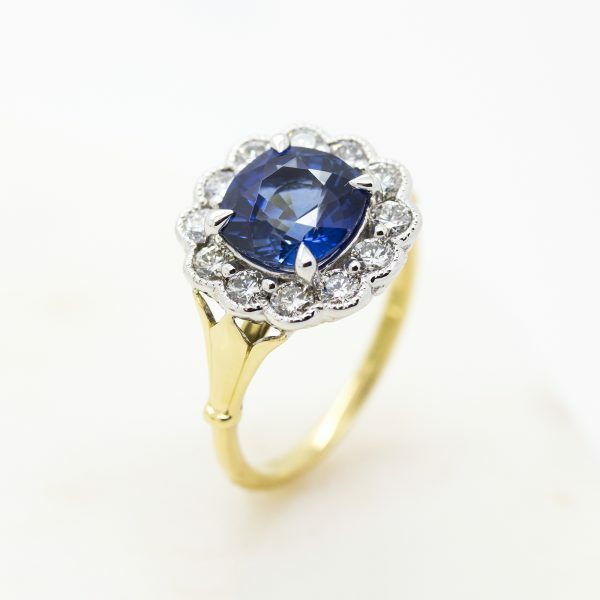 It’s also worth noting that the Victorian era witnessed an enormous and progressive shift in industry, society and fashion that made jewellery far more suitable to mass manufacture; and more accessible for purchase and wear. 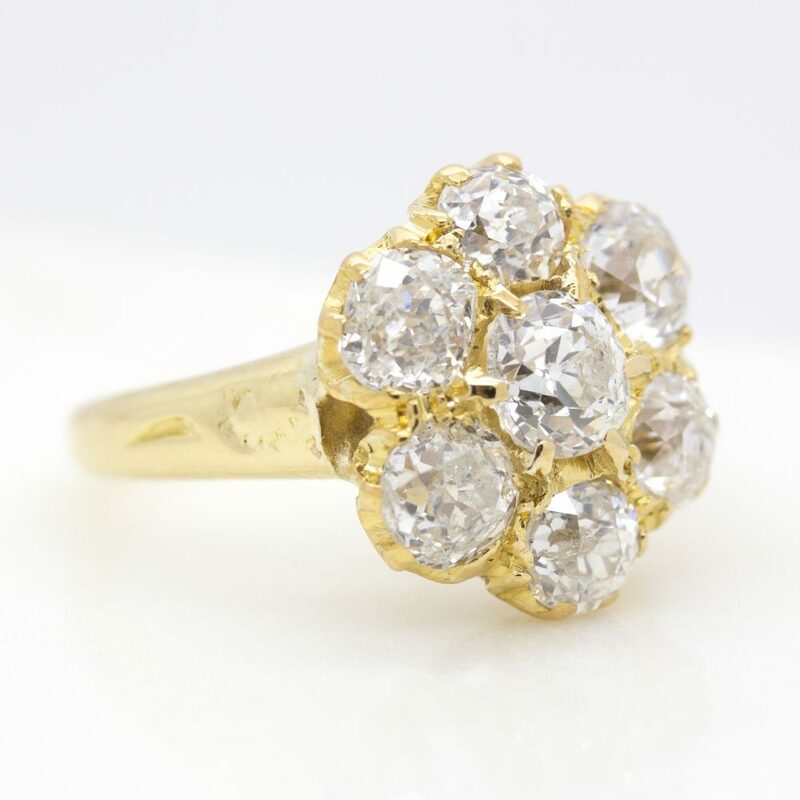 First, lower metal carat alloys (15ct, 12ct and 9ct gold) were introduced into the market and secondly, mines in South Africa were opened in 1870 which meant larger diamonds than ever before became readily available for an emerging middle class market. 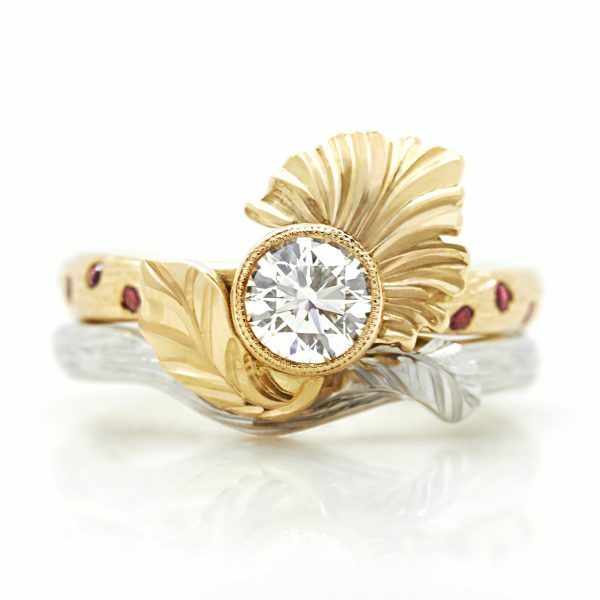 The rose cut dates back to the 1500s and is considered one of the original diamond cuts, often seen in antique jewelry. 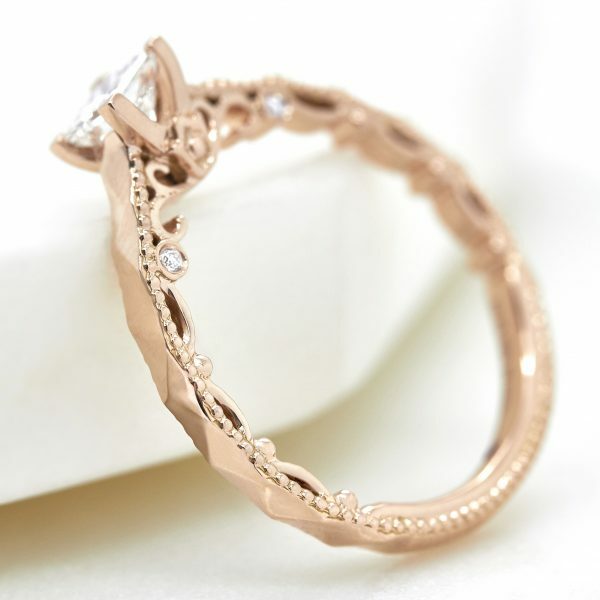 It features 3-24 triangular facets, peaking into a rose shape, resembling the soft curve of a rose. 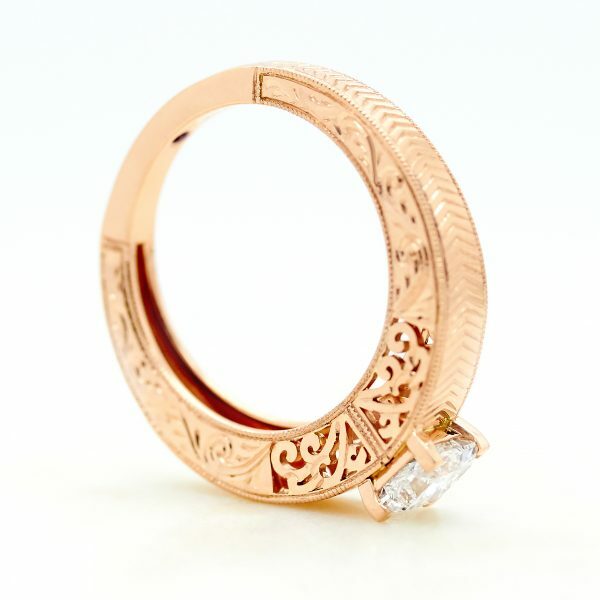 Rose cut diamonds are hand-carved and therefore quite rare. 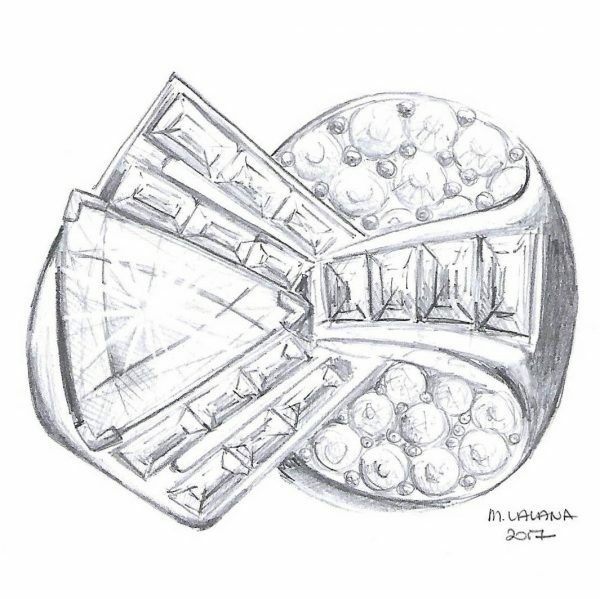 The old European cut is the predecessor of the round brilliant diamond, featuring 58 facets. 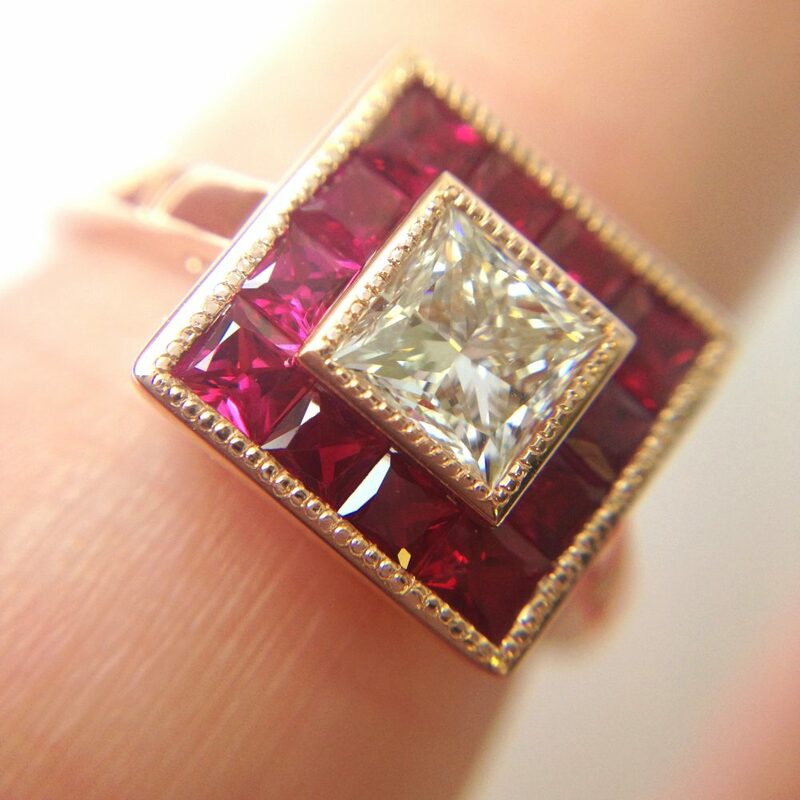 But what makes this cut unique is the intention with which it was created—to be worn in low candlelight where they produce a stunning glow, unmatched by any other cut. 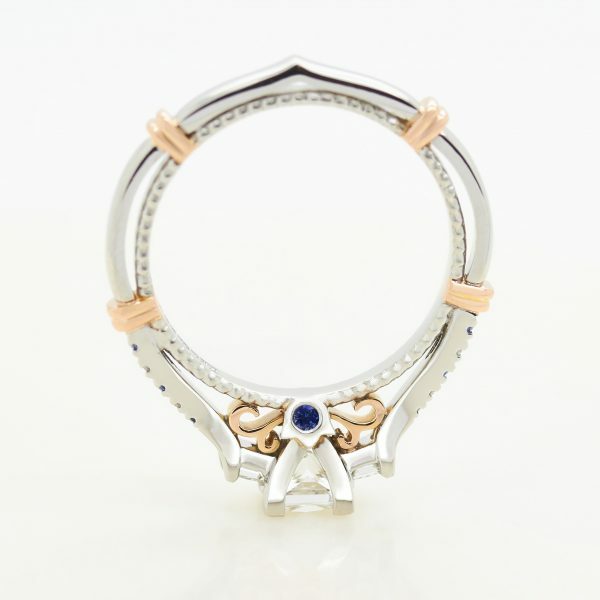 The mid-Victorian jewelry period coincided with the death of Prince Albert in 1861. 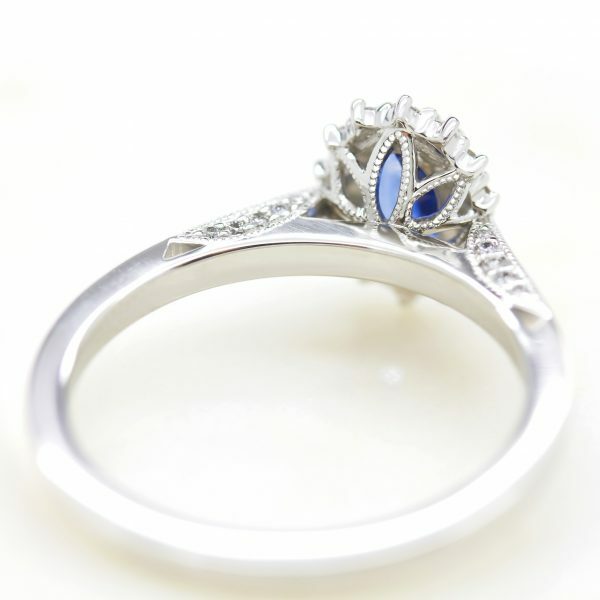 Victoria was devastated by his death and began to wear memorial rings, also known as mourning rings. 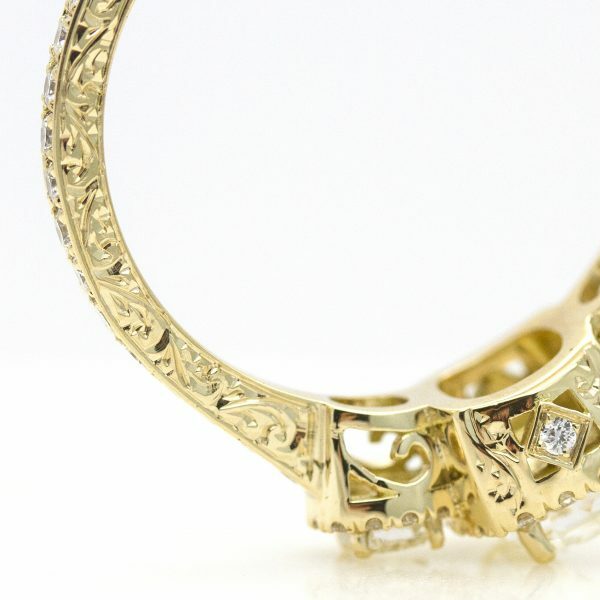 Having once seen popularity in the Georgian period, the sentimentality of the romantic period saw the jewelry aesthetic develop to reflect the mourning and loss experienced by the nation’s beloved Queen. 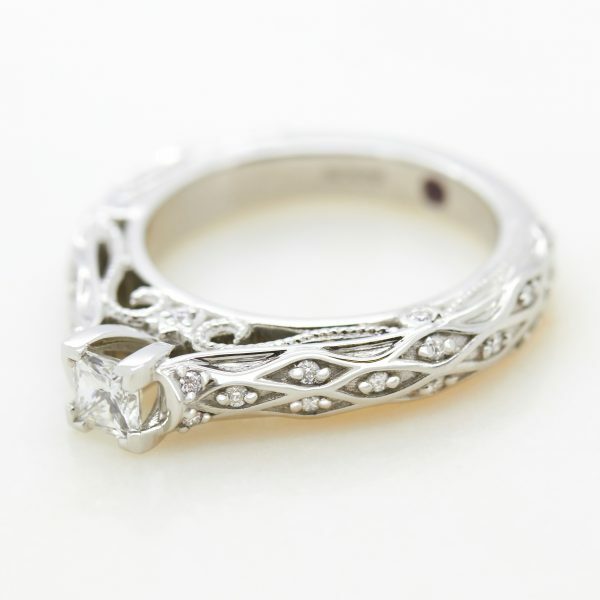 The Art Nouveau era began in the 1890s and lasted to around 1910, overlapping with the late Victorian era. It was an incredibly creative time with society expressing a desire to break the rigidity of Victorian design, lifestyle and aesthetics. Free-flowing lines were the defining motif of the Art Nouveau era, perhaps reflective of the prosperity and increased social freedoms of the time. Like the Georgian era, the Edwardian era is named after its monarch – in this case King Edward VII who reigned from 1901 – 1910. 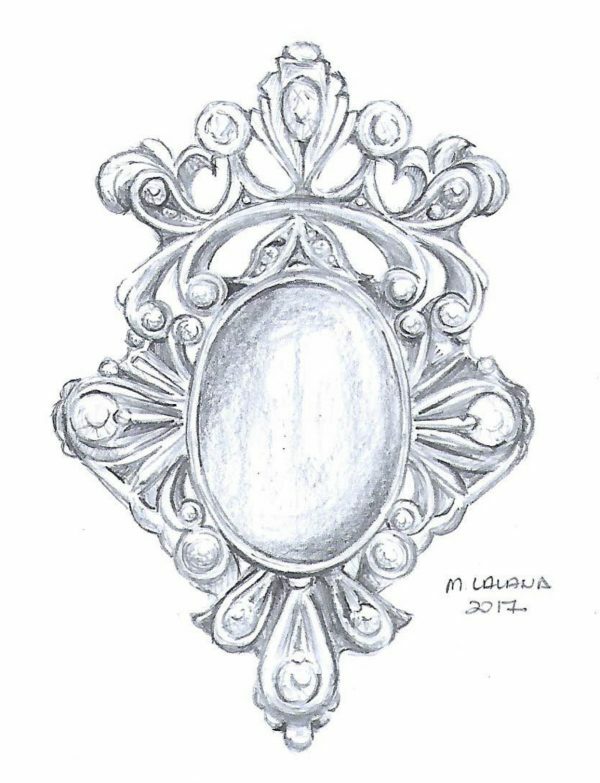 The overall style of Edwardian jewellery, and product design in general, captured the increasingly carefree attitudes of the nation. Between 1915 and 1935, society saw an evolution in social freedoms, technological advancements and fashion trends. Art Deco design embraced the wave of social change spreading across not only the nation, but the globe. These changes inspired a drastic change in not only jewellery design, but also clothing, furniture and architecture, to be eclectic. 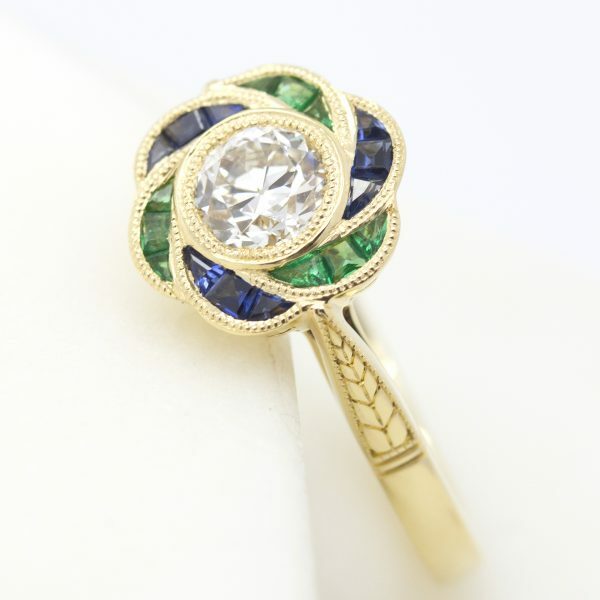 Art Deco also nods to the Art Nouveau period by often featuring ribbons, swirls and floral designs, but combining them with bold, geometric shapes. 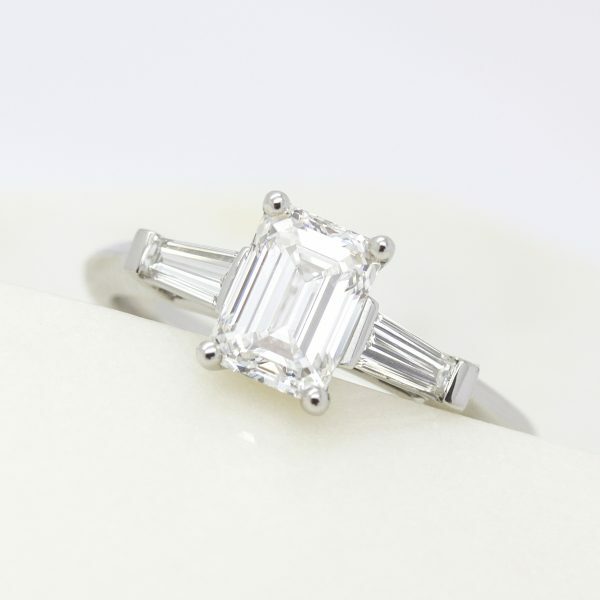 The Asscher cut—although originally developed in 1902, this cut didn’t surge in popularity until the Art Deco period. 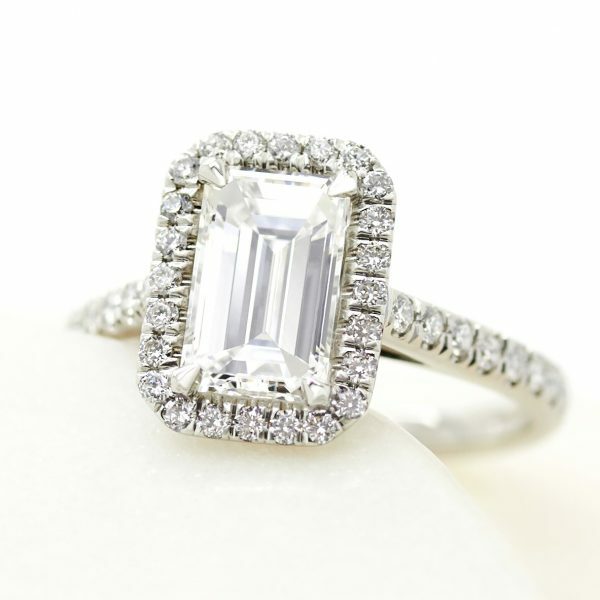 Beautiful in a trilogy setting, these cuts are known for their large, open tables and are the right choice for lovers who seek a simple nod to vintage elegance. It’s white gold or platinum—yellow gold saw a serious slump in this period. 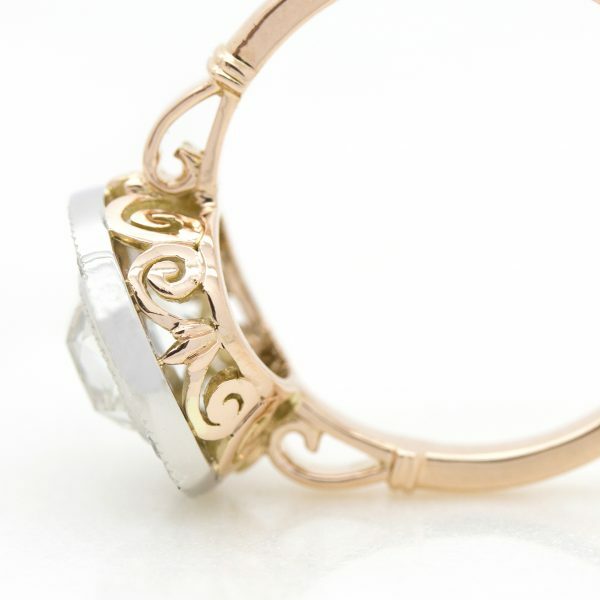 Milgrain—a raised beading detail that is often seen in antique-style jewellery—rose to fame again in the Art Deco period. 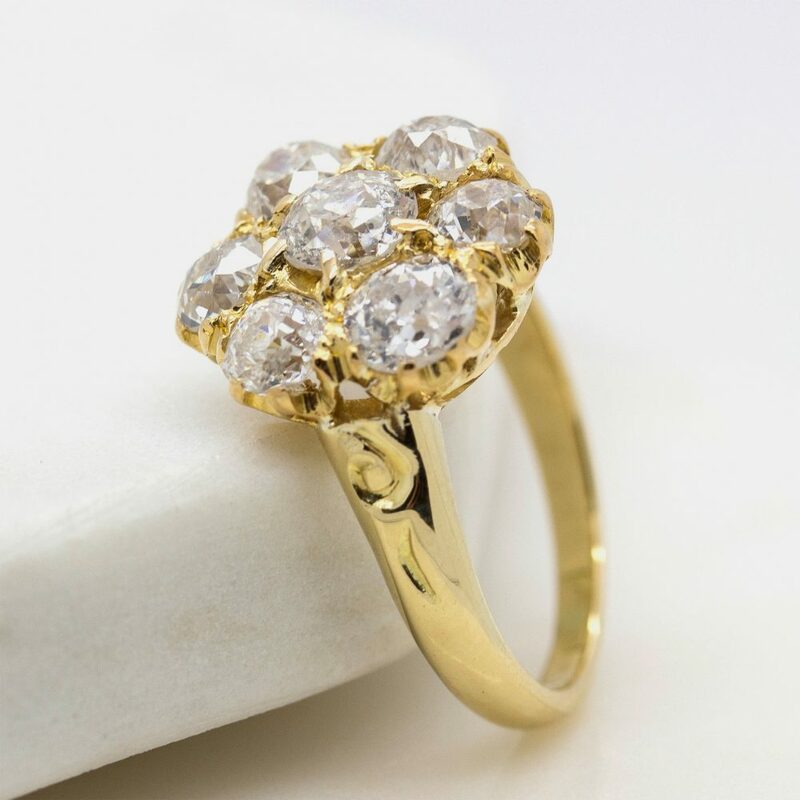 Typically featured along the edges of ring designs, milgrain serves as a textured frame, emphasising the beauty of the gemstone or diamond at its centre. 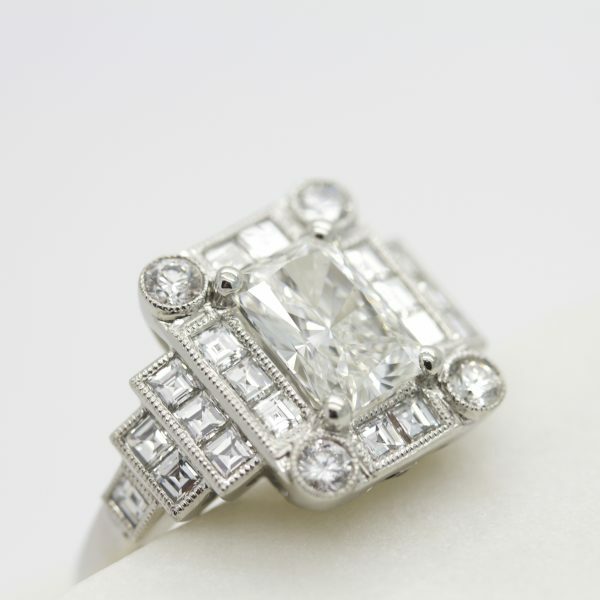 The retro era spanned from 1935 – 50 and rings in this period emerged under historically turbulent conditions. 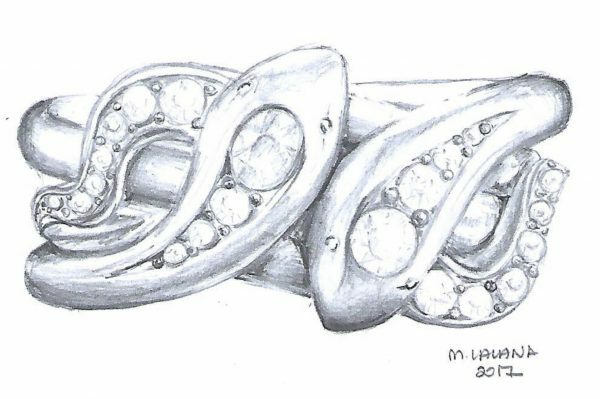 Primary influences on jewellery design were the Great Depression, the aftermath of two world wars and the emergence of original Hollywood glamour icons. 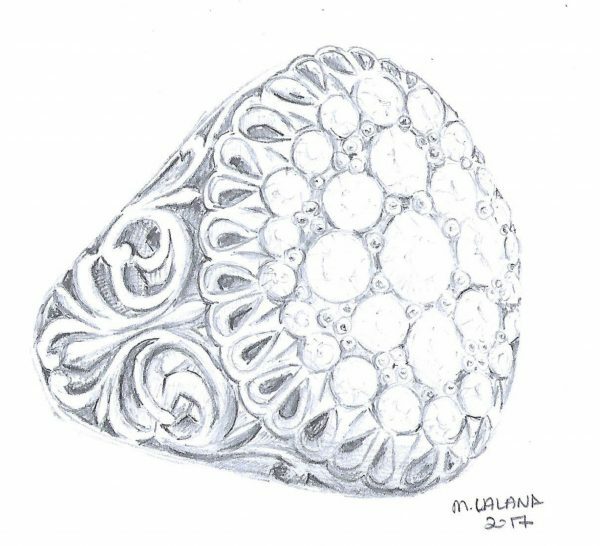 As you can tell, the possibilities in designing a vintage-inspired ring are, ironically, not finite like the years gone by themselves. 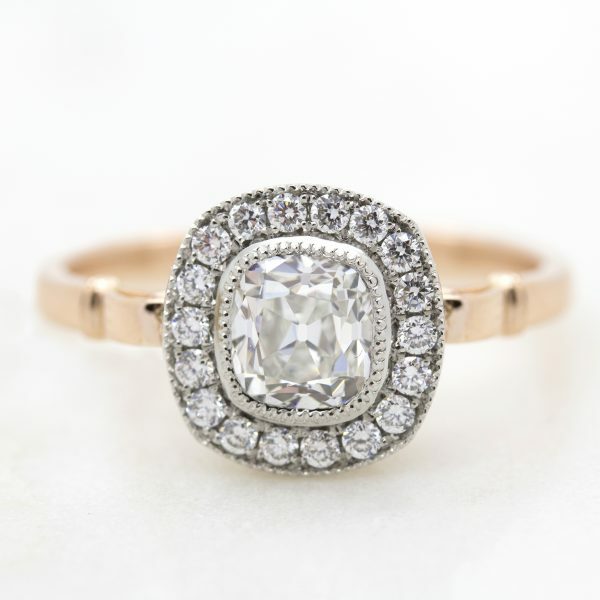 Whether you’re in love with all things antique or in a love that feels as old as time, a vintage-inspired engagement ring can combine your own unique tastes with design eras of the past. 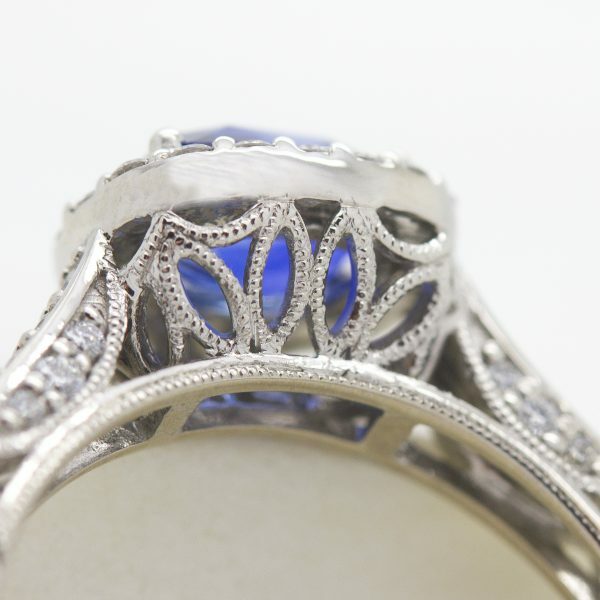 The beauty of designing your own is that you’re not confined to only one era. 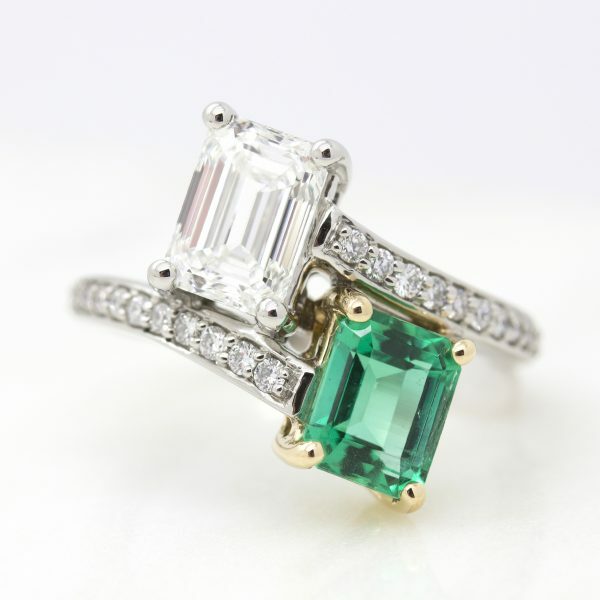 You can cherry-pick the elements you love most from one or from all, and the result will always be something that feels both rich in history and forward-looking into your happily-ever-after.